Happy Fall Break! Though the long fall break weekend is coming to a close now, the past week has been wonderful. The kids had a “picnic” together in the hallway, and I’ve begun work on Lila’s Halloween costume… Anna from Frozen. (Because Liam is going to be Elsa, naturally.) What do you think of her crochet hair hat? As part of spirit week at school, the kids and I got all decked out in our Calgary Flames gear and looked pretty fabulous representing our hockey team. 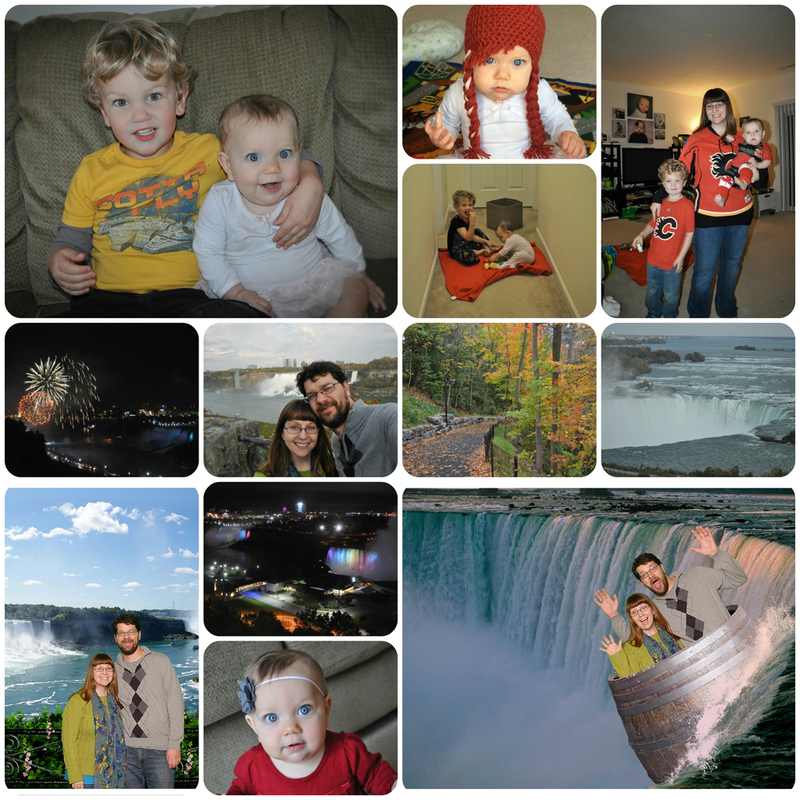 It was a short week, and while the kids enjoyed adventures with grandma and grandpa, Lucas and I took a quick road trip to the Canadian side of Niagara Falls and spent the long weekend together there. We had a lot of fun – it was really relaxing, and the view from our hotel was beautiful. We spent a lot of time walking through the parks (22k steps/10+ miles a day!) and exploring the area, and of course having as much Tim Hortons coffee as possible. While the weekend was much needed and lovely, we were happy to get home and see the kids, too. Thanks to mom and dad for watching the kids this weekend. And happy 8 months, Lila!